Dominant-IT provides redundant backup strategies to keep your business safe from data lose, hacking and office disasters. 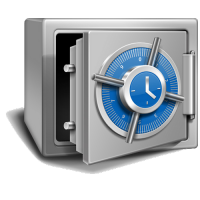 We provide offline backup solutions for Windows, Mac and Linux. Your data is sent over AES encrypted channels and is then stored in a encrypted environment. Why should your business have a backup strategy? Data loss can happen in many different ways. One of the most common causes is physical failure of the media the data is stored on, but what if something bigger happens? What if your local backup server suddenly loses its raid array? Your data will be gone. Dominant IT will develop a backup strategy specifically for your business. We will deploy redundant backup solutions to solve singular failure. We will also deploy off-site backups to protect you and your company against natural disaster. Interested in a Backup Strategy? Please contact us via phone (702) 514-0583 or our online contact form. Dominant-IT has supported our business for over 6 years. Dominant-IT provides excellent off-site support and hosting.